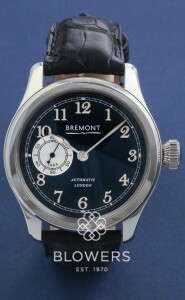 Founded in 2002, Bremont is a British brand with close ties to the world of aviation. The watch company focuses on producing tough, well-engineered chronometers, that withstand minor impacts without blemish. 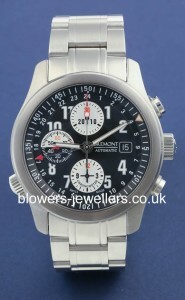 Bremont produces a number of joint-branded models including the Boeing collection, and the MB collections in collaboration with ejector seat manufacturer Martin Baker. 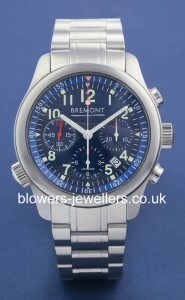 Browse Blowers’ selection of unused and used pre-owned Bremont watches. All our watches are physically available from our Kingston upon Hull boutique, or by appointment at our office in London’s Mayfair. Finance available. Looking for a specific model? Get in touch and we will endeavour to source it for you.